September 21, 2018: Flight 967 bird strike while departing. May 08, 2018: Flight 1854 reported smoke/fumes in the cabin. DENVER -- Passengers had to evacuate after their Delta Airlines jet landed at Denver International Airport Tuesday night. Passengers said the landing was fine, and then there was smoke in the cabin. Denver International Airport said the emergency evacuation happened while the plane was taxiing to the terminal. This was Delta flight 1854 from Detroit to Denver. It landed at about 8:10 p.m. The MD-90 aircraft had 146 passengers plus crew members on board. Pictures on social media showed them standing on the plane's wing during the evacuation. An airport spokesperson said there may have been minor injuries due to the evacuation on emergency slides. There were reports one person was transported to a hospital. The Denver Fire Department also said there was a report of smoke in the plane. Pictures from passengers showed them standing near the plane along with emergency equipment. One passenger said in an email to FOX31 passengers escaped the plane on emergency inflating slides. 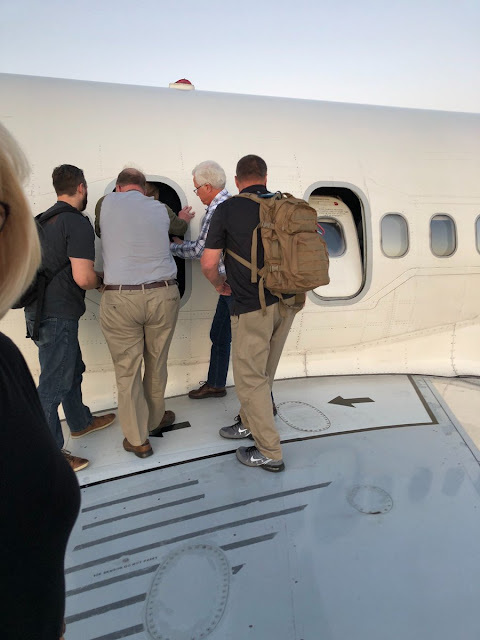 Delta Airlines released a statement late Tuesday night: "After arrival in Denver and during taxi to the gate, Delta flight 1854 from Detroit to Denver stopped on a taxiway where customers deplaned via slides and over-wing exits due to an observance of smoke in the cabin. Airport response vehicles met the aircraft out of an abundance of caution and customers were transported to the terminal via buses. The safety of Delta’s customers and crew is our top priority and we apologize for the concern this situation has caused." Airport operations were not impacted. 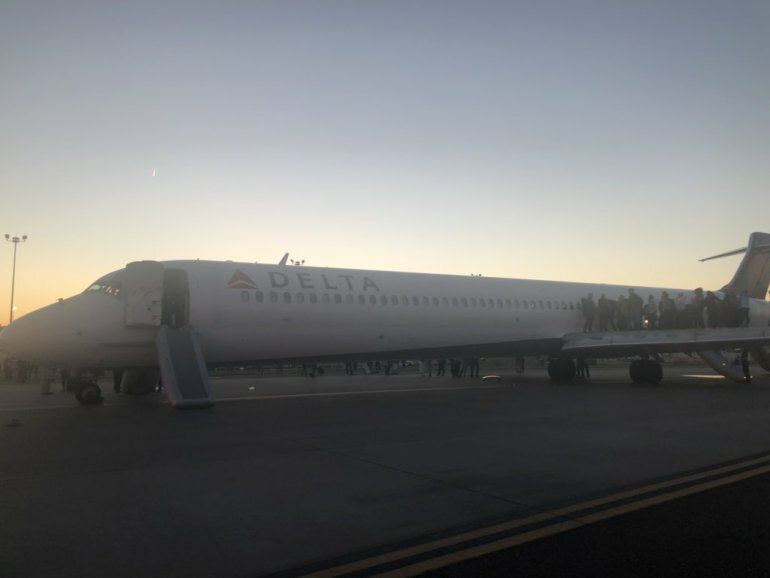 DENVER - Passengers aboard a Delta flight from Detroit Metro Airport to Denver International Airport were forced to evacuate after the plane landed in Denver, officials said. Officials are calling it an "emergency evacuation." 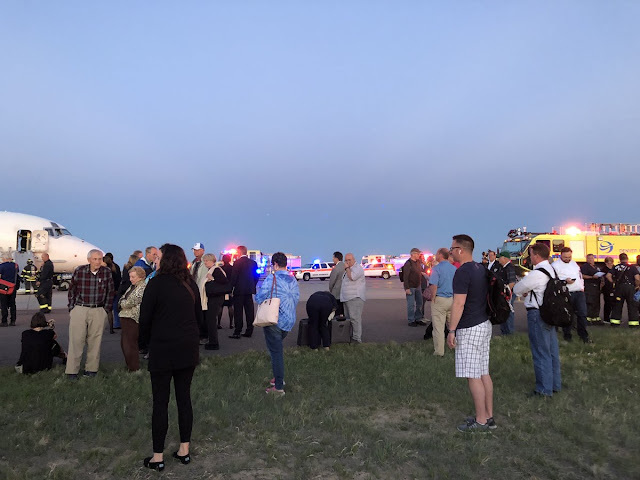 Denver International Airport officials said there was a fire reported on Delta Flight 1854, but Delta said there was no indication of the fire. The flight was completed, and passengers were then evacuated. Delta officials said it appears there might be some minor injuries, including smoke inhalation. 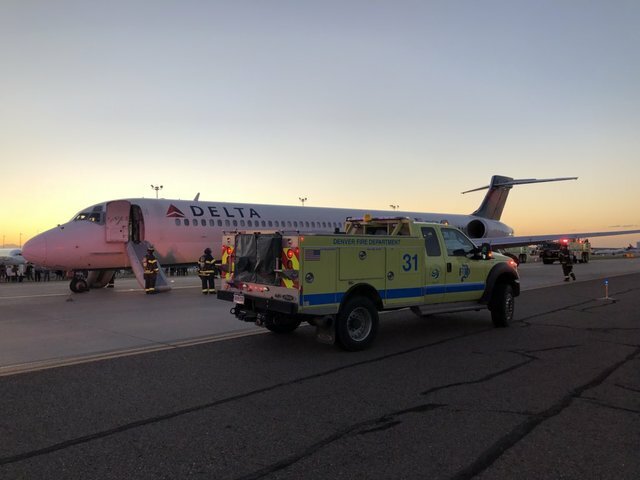 "After arrival in Denver and during taxi to the gate, Delta flight 1854 from Detroit to Denver stopped on a taxiway where customers deplaned via slides and over-wing exits due to an observance of smoke in the cabin. Airport response vehicles met the aircraft out of an abundance of caution and customers were transported to the terminal via buses. The safety of Delta’s customers and crew is our top priority and we apologize for the concern this situation has caused." The MD-90 aircraft had 146 passengers on board and took off from the McNamara Terminal in Detroit around 4 p.m. Tuesday. Anyone else notice that EVERY PERSON in those pictures has their purse/backpack/suitcase with them? Life-or-death situation = The key to keeping people safe is speed ... getting your bag slows things down tremendously. Same thing can be said for filming during the accident sequence. Passengers instinctively grab cellular phones for live-action in realtime on Facebook; but don't know the simple utilization of oxygen masks. All of the comments are spot on. I don't mind an idiot eliminating said individual from the gene pool, but they put all the others at risk as well. NTSB has been vocal on this but action needs to be taken.